Rolls-Royce (Booth No. 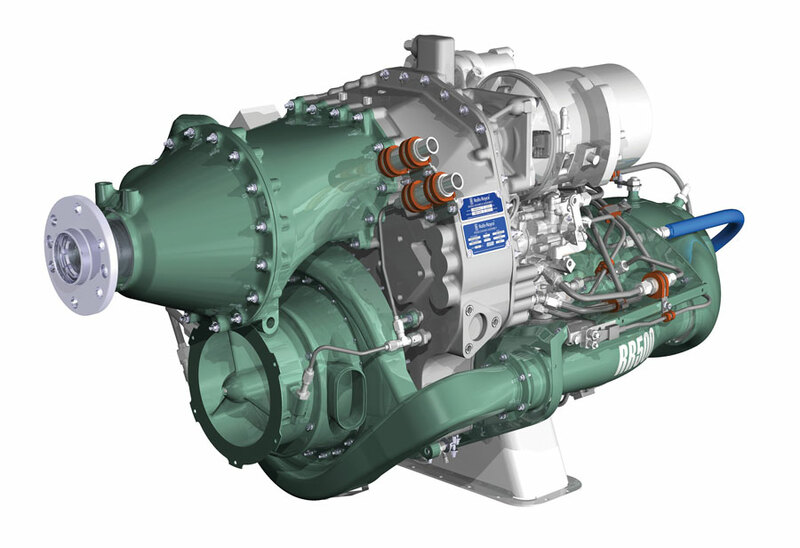 9040) has almost completed development of the 475-shp RR500 turboshaft but is still waiting for an aircraft manufacturer or modifier to specify the engine for a new project. Meanwhile, the Indianapolis-based engine manufacturer has moved into full-rate production with the 300-shp RR300 turboshaft, which powers the Robinson R66 light single. Improvements are also underway on the M250, to which both of the newer engines trace their roots. Development of the RR500 (a variant of the RR300) is close to completion, according to Greg Fedele, Rolls-Royce senior v-p of helicopters. The compressor’s aerodynamic design has been upgraded and the turbine’s airflow has been increased. Also, there is a particular focus on maintainability, he added. The RR500’s first application could be for a Bell 206 retrofit by Uniflight (Booth No. 4805). Rolls-Royce is working with the Grand Prairie, Texas-based company but the retrofit will only go ahead when marketplace conditions improve. In other news, Rolls-Royce is “very pleased” with the RR300 turboshaft, a derivative of the Model 250. As of mid-January, 85 aircraft equipped with the RR300 had been delivered, and had logged more than 10,000 flight hours. From the beginning, the engine performed better than predicted, Fedele said. The RR300 in-production engine version is basically identical to the first production example, with the exception of a few slight modifications on the exterior of the engine, Fedele said. The RR300 is being produced at a rate of several hundred per year. Rolls-Royce is focusing on expanding its RR300 aftermarket service network. Thirteen RR300 service centers are available around the world, and they are matched to R66 service centers. The number of service centers will grow “accordingly to that of fielded aircraft,” said Tim McGrath, v-p of customer business, helicopters. Other applications for the RR300 are being considered. “We are working with multiple airframers, established ones and start-up companies,” Fedele said. This would be for new aircraft (as opposed to retrofit). For the venerable 420- to 715-shp M250, Rolls-Royce is launching a value improvement program. The retrofit includes upgrades to improve fuel economy and hot-and-high performance. Rolls-Royce is also developing a dual-channel Fadec for the M250. Some 16,000 M250s are currently flying.